The Clone Wars first arrived as a theatrically released movie, which preceded the show’s television debut by approximately two months. It returned fans to the era of the prequel trilogy films, then, as now, still a topic which provokes emotional responses among fans (good and bad) and began the process of carving out a significant chunk of storytelling space from between Attack of the Clones and Revenge of the Sith. It also introduced Ahsoka Tano, a young, brash padawan, who referred to Anakin Skywalker as “Sky Guy” and was in turn, labeled “Snips.” Tano was definitely intended to be a point of view character for the future show’s younger fans, someone they could identify with in the enviable position of living the adventure of the Clone Wars at the side of Anakin Skywalker and Obi-Wan Kenobi. And, in a way, Ahsoka came across as a bit over the top, written a bit too energetic, as if to make sure younger viewers could easily latch on to the Togruta Jedi in training. But then, she grew up. Across five seasons of The Clone Wars, Ahsoka Tano not only physically aged, but she matured and learned what it meant to be a Jedi, and not just from her master, Anakin, but from the other Jedi whom she interacted with through various adventures. For an Order which demanded no attachment, it also became clear how attached the ‘Sky Guy’ and ‘Snips’ became by the end of the fifth season when Ahsoka Tano elected to walk away from the Jedi Order. Her departure was built upon Tano’s experience after being framed by a fellow padawan for a crime she did not commit, and in the face of Jedi punishment that later was rescinded, decided she was no longer able to remain one of them. Tano’s departure became a subtle moment in the development of Anakin Skywalker’s own fall inRevenge of the Sith, one more missing pillar to support him as he dealt with a growing obsession of losing the last person of value in his life, Padme. Then Order 66 happened. Order 66 had technically already happened, unreferenced in A New Hope when a worn and weary Obi-Wan Kenobi told Luke Skywalker about the Dark Times, and emotionally wrenchingly clear in a montage in Sith. For those who had become as attached to Tano as Anakin, a vast fan base who had equally grown with her, be it through childhood years or adult ones, a question loomed above Ahsoka’s fate. Did she survive the purge? Did Ahsoka make it through Order 66? That answer was finally answered a couple years after The Clone Wars ended and the first season of Rebels came to a conclusion. The answer was a resounding and ecstatic yes. An older Ahsoka appeared in the final moments of that season and in the next, reappeared a number of times as a side story developed concerning Tano’s own discovery of what had happened to her former friend and master, Anakin Skywalker. In the same manner that Rebels season one introduced Tano in its final seconds, season two opted to send her away in its closing montage. Tano’s fate once again became a question of debate and concern for fans, and has been implied that she yet lives. Into the gulf of this uncertainty, however, E.K. 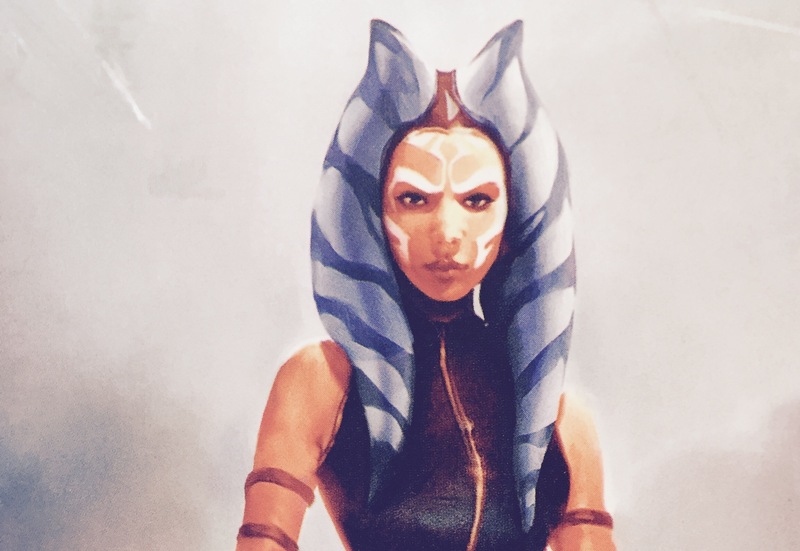 Johnston’s Ahsoka was published in October. Nominally, Ahsoka was written with the intention to fill in the backstory for our favorite Togruta from her departure of the Jedi Order to her first appearance as the rebel agent, Fulcrum, on Rebels. In a way, Ahsoka does exactly this, but only by focusing on a crucial moment in Tano’s life which pushed her down the path from being merely a former Jedi on the run to an agent of good in the nascent Rebel Alliance. It picks up approximately a year after Emperor Palpatine, to thunderous applause, announces the formation of the Galactic Empire, and that missing year is only hinted at with excerpts dropped ahead of the novel’s sections. For fans, it’s a little frustrating tease, with references to Darth Maul, Captain Rex, and Tano’s path to going underground to hide her identity. One can only hope that that one year will be picked up and explored, either in novel form or some other medium, but it’s not to say that Ahsoka’s life that is covered is no less interesting or significant to her development. It is not our attention to go deep into specifics, but instead offer something of a spoiler free review, so strap yourself down for the largest amount of specifics this review will hold. Ahsoka begins with our former padawan in a small town in the Outer Rim, nominally controlled by almost benevolent crime family. On Empire Day, Imperial officials begin asking questions, leading Ahsoka to head to a new home, a small moon called Raada, which consists of virtually one town surrounded by some fertile fields. It’s the equivalent of a small Kansas town where nearly everyone is involved in farming and into this community Ahsoka inserts herself under the pseudonym of Ashla and in the job of mechanic. She’s quickly adopted into a group of friends, primarily lead by a young woman named Kaeden and for a few months it appears that Raada will become a permanent home, a backwater to a backwater where Tano can forget her past life. Ahsoka’s hopes are dashed, however, when a mid-level bureaucrat decides that Raada is the perfect place for the Empire to move in, plant a soil destroying crop, and then move on with little disregard for the small population of farmers. A statistical decision brings the Empire to Raada and sets up the impending conflict which will force Tano to decide who she wants to be, Ahsoka the former padawan or Ashla the mechanic. Toss in what maybe the earliest chronological introduction of an Inquisitor (see Rebels if you’re unfamiliar with this crew), and we have our antagonists setup to face off against our protagonist. What follows can be guessed, Ahsoka Tano will not allow her friends or the people of Raada suffer at the hands of the Empire, but we leave how Tano proceeds along that path to the reader. Beyond the plot of Ahsoka, the most essential part of the novel is Ahsoka Tano’s grappling with her identity, not just as a Force user in a post-Order 66 galaxy, but as someone who should act as a Jedi, a protector of peace and justice. This is an essential story for many of the Force users who survived the initial purge of the Jedi, from Kanan Jarrus on Rebels to Obi-Wan Kenobi in Marvel’s Star Wars comic, and almost without hesitation, all who have walked the path of the Jedi find themselves unable to permanently resist it. For fans of Ahsoka Tano, this is little surprise, and also reassuring that the hero of The Clone Wars refused to give up on something which had in a way forsaken her. Ahsoka succeeds best when it dives into Tano’s inner thoughts and her reflections on the galaxy and people around her. Likewise, the novel reveals the origin of Rebels era Ahsoka’s twin white lightsabers, which is both inventive in nature, but also somewhat indicative that Ahsoka never had any subconscious doubts of what she would end up doing with her life and destiny. When Ahsoka was released, a number of online commentaries agreed that it was very much an adventure for fans of The Clone Wars and that presumption isn’t very far off. One minor detail, an opening crawl, which other Star Wars books have adopted, would have gone a long way toward familiarizing readers with Ahsoka Tano’s past and making Ahsoka a little more inviting to the uninitiated. It’s not to say that Ahsoka is an impenetrable story, but it’s definitely a Star Wars story, so having even a basic understanding of the first six films would help a reader to appreciate the setting and the characters involved. The novel’s greatest weakness isn’t what is written, but what is not, primarily that missing year from the moment Ahsoka Tano left the Jedi Order and Anakin Skywalker to seek her destiny elsewhere. In an certain manner, it would have made more sense to begin Ahsoka’s literary journey there, rather than the setting Ahsoka selects, and one must wonder if perhaps the powers that be felt Tano was better known from Rebels and any subsequent novel should spring forward from that connection and not The Clone Wars which ceased airing several years ago. The inclusion of an Inquisitor, a group of Dark Side wielding Jedi hunters introduced on Rebels, only increases the likelihood of this being the case. 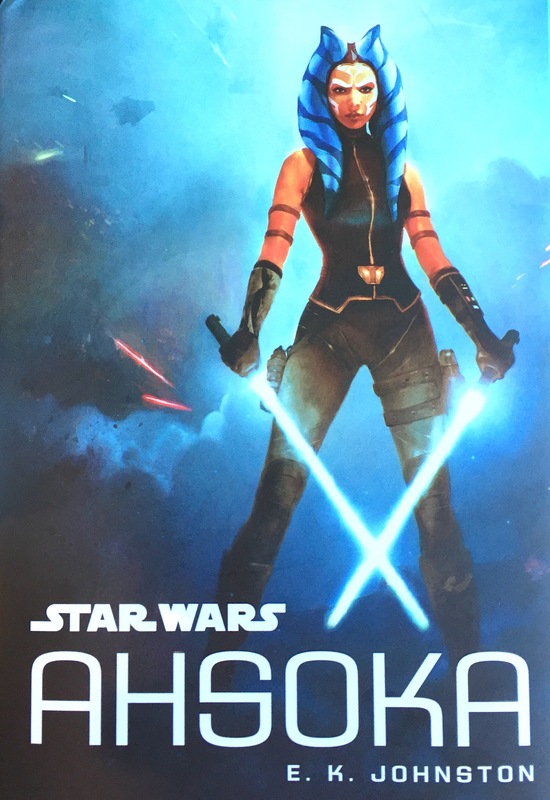 A quick, enjoyable read, Ahsoka by E.K. Johnston, is a must for any fan of Ahsoka Tano, obviously, but definitely also for fans of The Clone Wars. For those who first met Tano on Rebels, it’s also worth their time, and for general fans of the Star Wars franchise, it’s an enjoyable excursion into a new adventure in the galaxy far, far away. At the least, Ahsoka is special, not just because it’s a fun novel, but because it’s also a sign of the growing effort to focus more equally on gender representation in Star Wars. Princess Leia is fantastic, but there’s plenty of room to her left and right for more female heroes. Thankfully, for those who pick up Ahsoka, they will additionally enjoy the story it has to tell of Anakin Skywalker’s padawan. Riffing on Star Wars: #22 – I am no Jedi.